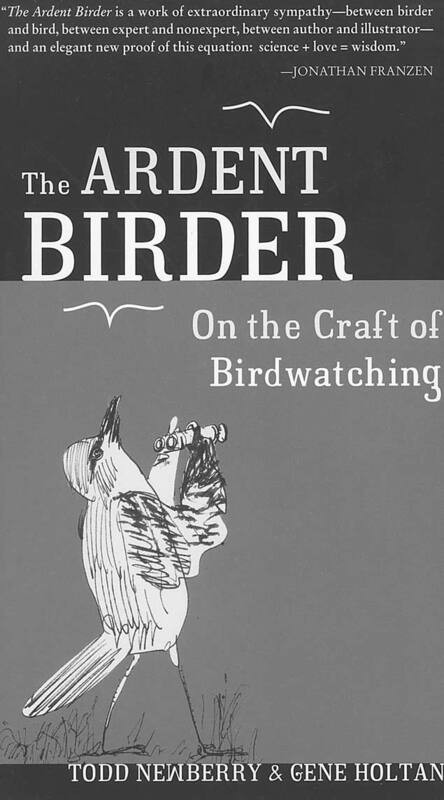 The Ardent Birder: On the Craft of Birdwatching is that rare bird indeed—a sensitive, well-informed, loving, funny and thorough primer on how to watch birds, for everyone from rank beginners to jaded experts who lead bird walks. I put the book down wanting to go birdwatching immediately, with the author. Todd Newberry, who earned a B.A from Princeton and a Ph.D. in zoology and marine biology from Stanford, taught at the University of California, Santa Cruz, for 30 years and has taught, as professor emeritus, for the last 10 at the latter university’s Long Marine Lab. A lifelong birder, his academic specialty is modular animals, such as most corals and, his favorites, sea squirts. 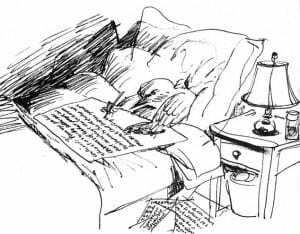 He brings to the table the rigor of a scientist suffused with the infectious enthusiasm of a crazed birder. 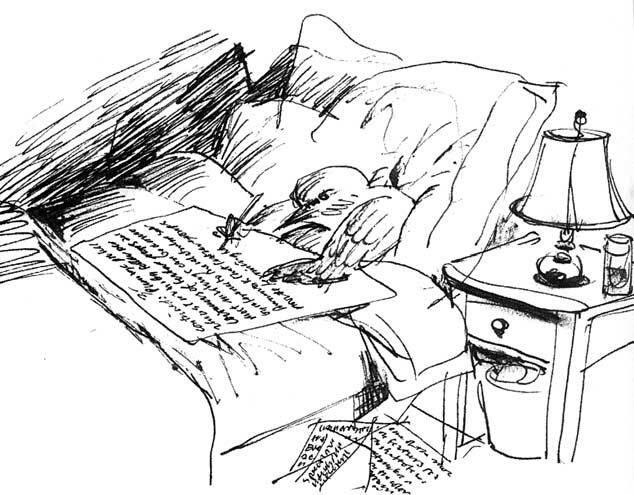 Write a draft of the trip report before bedtime. The book consists of 49 small chapters arranged into six sections (“Our Day,” “Our Year,” “A Philosophical Interlude,” “Skills,” “Gear” and “Leading Better Club Trips”), each of them filled with tips, tricks, theories, asides and fascinating factoids. Dr. Newberry (he never refers to himself using any of his titles, but his credentials are so impeccable I felt it would be sacrisecular to call him Mr.) sprinkles his writing with quotations by everyone from Yogi Berra (“You can observe a lot by watching.”) to Marcel Proust (“The real voyage of discovery consists not in seeking new landscapes but in having new eyes.”). I leave a list of what I found. The technique works, as does his method for practicing counting things in tens so that it becomes almost automatic to visualize ten items, a skill that handily translates into an enhanced capacity to count large numbers of birds quickly. I can remember dozens of times a large flock of snow or Canada geese, honking or squawking maniacally, descended as I tried hopelessly to count them, only to hazard a wild guess at their numbers. 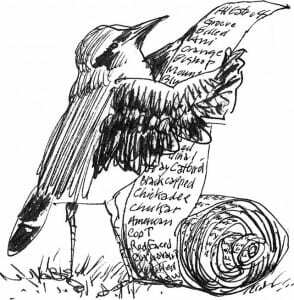 The “Skills” section also includes a fun riff on pishing, the making of pish-pish noises to attract birds, which, in my experience, sometimes works and sometimes doesn’t. Dr. Newberry reports that, unlike American birders, European birders don’t pish and that the birds there don’t respond to this lure. 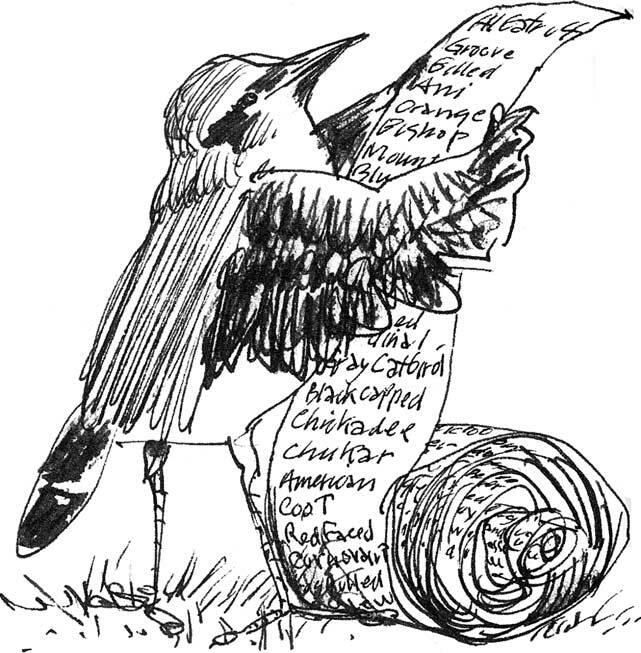 In addition to its considerable knowledge, warmth, charm and humor, The Ardent Birder features 82 playful cartoons that illustrate the author’s points. There’s one of a tea kettle impersonating a bird, in order to fool a birder, that had me smiling thinking about all the inanimate objects I’ve mistaken for birds.